Submitted an offer and having it accepted by the seller is exciting, but it is certainly not the end of the property sales process. There are a few more obstacles that need to be overcome before the home can change ownership and the keys are handed over. Failing to overcome any of these hurdles could result in the deal falling through and you starting the journey from the first step. If possible, it is advisable to get pre-approval from the bank with a written loan commitment letter that you can show the seller. However, being pre-approved is not a guarantee that you will get the finance. Certain factors could change causing the bond application to fall through, such as a change of employment or job loss. The bank providing the loan will send an appraiser to value the property to ensure it covers their invested interest in the home. The value of the home must be at least as much as you are willing to pay for it, or the mortgage loan amount is at an acceptable ratio to the value. The bank wants to make sure that if you default at any stage, they will be able to recoup their losses. If the bank’s appraisal is lower than the purchase price on the offer to purchase, a price reduction might be negotiated with the seller, or you will need to pay the difference in cash. If you do not have the extra cash and the seller is not willing to lower their price - it could be a deal breaker. If the purchase price is below R250 000, the OTP should contain a cooling-off period where you can step away from the transaction. However, all other property transactions above this mark are exempt from the cooling-off period, and the agreement becomes legally binding as soon as it is signed. The Consumer Protection Act (CPA) creates a right in favour of buyers who wish to rescind their offer. However, it only applies if the sale is a result of direct marketing. Furthermore, the CPA is only applicable to transactions where the seller deals with property in the normal course of his business. The fact that an estate agent is involved in the transaction also does not make the CPA automatically applicable to a transaction. It is possible for you to negotiate a cancellation of the offer with the seller and the estate agent. However, if negotiations prove to be unsuccessful and you do not comply with the stipulations within the contract, you will be at risk of contract breach, and you could be liable to pay damages and the estate agent’s commission if legal action is instituted. According to South African legislation, all property transactions are still subject to the “voetstoots” clause if it is contained in the OTP. Note that the word “voetstoots” need not appear and the clause could be termed “Property sold “as it now lies” or something similar. The clause protects sellers against any claims arising from patent (openly visible) defects, as well as latent (hidden) defects in the property. However, should the seller have known about the latent defect and willfully or fraudulently withheld this information, voetstoots does not protect him. That said, proving prior knowledge of latent defects is in most cases very difficult. The effect of voetstoots is often qualified by a disclosure annexure which often forms part of the offer to purchase. 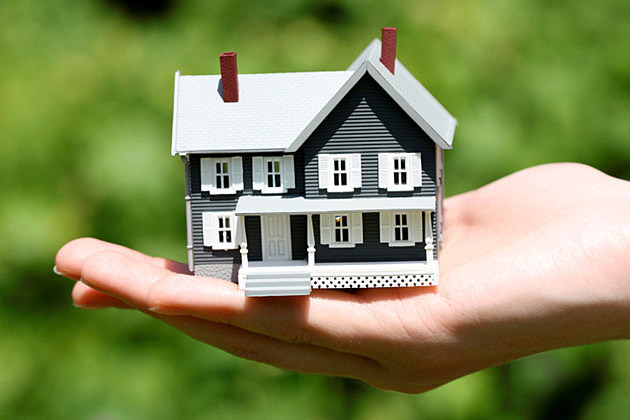 Within the annexure, the seller declares in detail the condition of various aspects of the property. If your offer has just been accepted, you can bring the defect to the attention of the mortgage bank. If the defect is serious enough, the bank will not grant finance, and the deal will fall through. If the issue is not that serious, you should engage the services of an independent attorney who could negotiate or litigate for a price reduction. Goslett closes by saying that the property transfer process can be stressful for both parties, especially with the wide variety of things that need to be considered and organised. Take the time to research the process and its possible pitfalls to ensure that you are ready any situation. To reduce cuts, some homeowners may be thinking about listing their property themselves, rather than making use of a real estate professional. On surface value, this may seem to be an excellent way to cut down on expenses during the homes sales process; however, it also means that the homeowner will have to see the whole process through from start to finish. Agents deal with property sales every day, so they are well equipped to navigate the process smoothly and take the burden off the seller’s shoulders. “Estate agents are also highly motivated to sell the home because if they don’t sell it, they don’t get paid,” adds Goslett. Some people avoid using an agent to make more profit on the sale, however, statically, agents often achieve a far higher selling price than homeowner’s selling the home themselves. In an attempt to avoid paying commission, sellers are sometimes leaving money on the table during the negotiation. “Often the selling price an agent achieves is enough to cover their commission and more. How do agents do this? They have the experience and resources to price the home appropriately,” says Goslett. Studies show that if homes are correctly priced when listed, they will sell faster and for a better price than those listed at overinflated prices. Making a mistake while selling a home could mean dealing with the possible legal consequences. Selling a home is a complicated endeavour that involves a lot of paperwork that needs to be filled out correctly. An agent will know the ins and outs of what is required and how it needs to be addressed. “Due to the nature of property sales and the huge financial impact it can have on people’s lives, the right estate agent can add value and be a helpful, professional guide for homeowners to rely on,” Goslett concludes. Several reasons have contributed to the growing popularity of sectional title homes in South Africa over the last decade, says Adrian Goslett, Regional Director and CEO of RE/MAX of Southern Africa. “These homes often offer heightened security, are more affordable and provide people with a more communal way of living. However, as popular as sectional title ownership may be, it remains highly misunderstood when it comes to ownership responsibilities and legalities,” he adds. Goslett says that to fully grasp the differences between sectional title and freehold property ownership, each needs to be defined. He explains that freehold or full title describes the transfer of full ownership rights when you own a property, which includes the building and the land on which it is built. Examples of these properties include free-standing houses, cluster houses, residential property used for business purposes, and smallholdings. As the name suggests, sectional title describes separate ownership of units or sections within a complex or development. “When you buy into a sectional title development, you purchase a section or sections, as well as an undivided share of the common property. These are collectively known as units. Sectional title dwellings comprise of mini subtype houses, semi-detached houses, townhouses, flats or apartments, and duet houses,” says Goslett. While a collection of freehold homes could belong to a Homeowner’s Association, sectional title complexes are governed by a Body Corporate, which is the collective name given to all the owners of units within any particular development. The Body Corporate is responsible for managing the scheme and taking care of its finances. Goslett points out that a managing agent is often appointed to take care of the duties of a Body Corporate, which includes collecting monthly levies, paying the scheme’s insurance premiums, arranging meetings, ensuring compliance with the Sectional Titles Act, and ensuring that the owners and tenants comply with the Body Corporate rules. Security - Living near your neighbours in a more communal environment is perceived to be more secure than living on a freehold property. Also, most sectional title developments have excellent security around the perimeter and at the entrance, which is included in the monthly levies. Freehold property owners are entirely responsible for their security – they need to pay to secure the perimeter, and often for an armed response security company to patrol their area. A fixed monthly cost - Unlike freehold property owners who have to pay for their home insurance and the upkeep of the pavement, garden, and exterior of their home, sectional title owners pay a monthly levy instead. The levy includes – insurance premiums, maintenance of the common property, wages and salaries of cleaners, security and other staff involved in maintaining the common property, as well as any water and electricity required for the common property. Apart from the levy, sectional title owners only need to pay their rates and taxes, the unit’s insurance, the contents of their home, their private gardens and for their monthly electricity and water consumption. The cost of maintaining pools, tennis courts, communal park areas and clubhouses in the development is shared. Affordability and communal living - Generally speaking, a sectional title unit within a complex is more affordable than a freehold house. Also, when compared to freehold neighbourhoods, on average communities living in sectional title schemes boast close-knit communities and far greater interaction with their neighbours. Independence - With full title ownership, the owner is in complete control and is financially responsible for the property in its entirety. However, when you invest in a sectional title scheme, you will own part of a scheme, meaning that the owner has invested in and is part of a small community. As a result, they will need to comply with the management and conduct rules as laid out by the Body Corporate. Majority rules - The rules and regulations of any particular complex may change and, unlike freehold property owners, sectional title investors or owners may not be happy with the changes, but won’t have the power to change them in an individual capacity. Simplicity - The legalities of sectional title ownership can be complicated – there are issues about participation quotas, nominated values, exclusive areas, and quorums. Lack of freedom - Sectional title owners do not have the freedom to make improvements to their property. Those who want to renovate, need to get approval from the Body Corporate before they can begin building. Liable for the debt of the Body Corporate - If you are investing in a sectional title scheme, you will be liable for the debt of the Body Corporate. As such, it is important to deduce whether the scheme is managed correctly and that the financial statements of the Body Corporate are in order. “Both types of properties have their pros and cons, so when deciding, it is important to weigh up the options and decide on a home that will meet your needs both now and for the next five to seven years,” Goslett concludes. There is little point responding to an online ad that has been viewed hundreds of times. Rental properties that are perceived to be good value will be snapped up instantly. “Listings that appear after page 10 or those older than a week, will probably already be taken, especially rentals under R10 000 per month. “Check property search portals on a daily basis to ensure you are responding to ads as quickly as possible,” Goslett advises. Given the volume of competing tenants in the market, asking an agent to add you to a list or take your number will not suffice. Rather get the email address of a reputable agent who is active in the area and email them with the intention of gaining some rapport. Don't be complacent and leave it to the last minute, it's harder to secure the right place than you think. To be noticed, it is crucial to respond to online ads efficiently. Here are a few pointers on how to respond. • Be brief and ask for an appointment to see the property as soon as possible. • Do not ask if the property is still available – this wastes time, and the property will be gone before you get the benefit of a reply. • Briefly, outline who you are, note the number of occupants, pets and why you are moving. • State that you have a clean credit history and have all documents, proofs and deposit ready. • Leave the questions about what is included until you are face to face with the agent or landlord. • Shortlist as many potential places to view as possible to improve your chances of securing one. • Landlords and agents seek quality tenants, and you will need to ensure you have all the necessary documents to show you are a quality and exemplary tenant. • An updated credit report should be kept so that it can be offered to the owner or the agent. They may do their own, but at least you will know your credit history and score. • Most agencies and savvy private landlords will have an application form. If possible, get this document before the viewing and complete it before you arrive. • Other documents to remember are copies of ID documents, proof of income or a letter from your employer or if you are self-employed have three to six months of bank statements. • Remember rental agents and landlords seek applicants who earn roughly three times the rental amount as a gross combined income. • A letter from your past landlord or rental agent is always helpful or at least have their contact details handy. Agents/landlords want to know your conduct and payment behaviour at previous properties you have rented. • If you have never rented or if you previously owned your property, try to get a good reference from a responsible authority figure, school bursar, minister etc. • If you have anything that negatively affects the application, rather be honest and open about it and state what you have done to improve the situation. Being honest about it shows integrity. 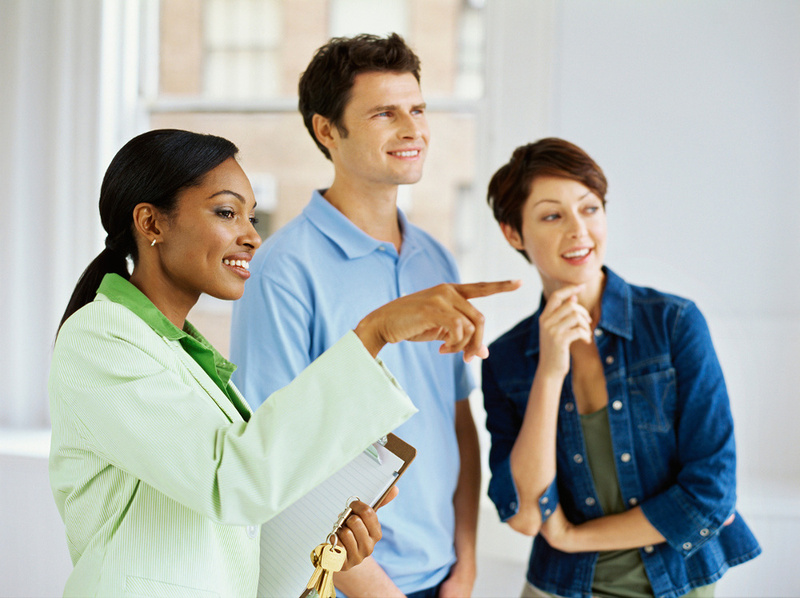 “To make a good impression with a landlord, be sure to be on time for the appointment. If possible, also try and build some rapport with the landlord so that they will remember you. Have all the necessary supporting documentation on hand when you arrive and ask if there is a formal application to follow. If they can provide a receipt, ask if you can pay the lease fee or deposit immediately,” says Goslett. “During the process, it is vital not to lose hope and give up. While it may take some time, If you apply the above tips and keep at it you will eventually find the ideal rental property,” he concludes. Most of the time you will have a clear idea of when you will be moving homes and have time to plan and make decisions accordingly. However, there are times when life happens, and the decision is made for you. Whether it be your company transferring you to another region, a family emergency that requires relocation or maybe its to be with a significant other in another part of the country. In these situations, you will need to decide whether you are going to sell your home or rent it out. Is the move for good or is it just for a time? 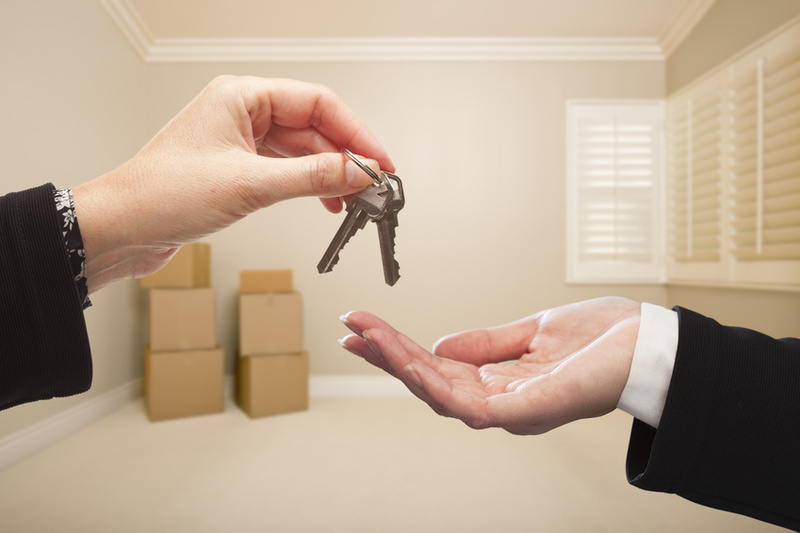 “If you are packing up and going for good, then it makes sense to sell the property. However, if there is a chance you will be returning in a year or two, the time and money spent on selling the home and purchasing another won’t be worth your while. In that case, renting out the property seems like a far more feasible option,” says Goslett. 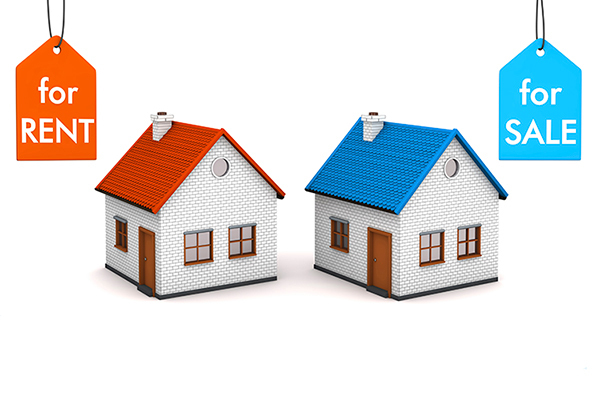 Do some research into what the rental prices are in your area, as well as the current selling prices of the homes. Also look at the demand for rental properties and the number of current listings available. “Doing your homework will provide you with a much clearer idea of what kind of rental income you can expect, as well as what may need to be done to the home to get it up to standard if necessary. 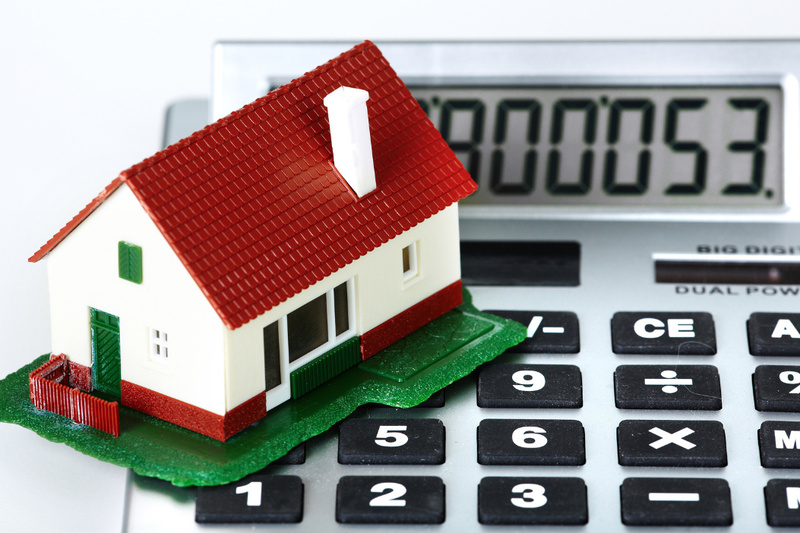 It is important that the achievable rental income is enough to cover the expenses. Otherwise, you will need to pay towards the home while paying for another property elsewhere,” advises Goslett. Aside from where the property is located, another influential factor when it comes to a property’s potential is the future development plans for the neighbourhood as well as the condition on the neighbourhood. “While this aspect is completely out of your control, it will largely impact on the value of the home. Future development planned in and around the area can have a positive or negative impact on home values, depending on what the development is. For example, Gautrain stations in Sandton, Rosebank and Pretoria have pushed property prices up in the surrounding neighbourhoods. However, industrial type development in some suburbs has negatively influenced the value of homes in the immediate area,” says Goslett. There is more to renting out a property than just collecting a cheque each month, and it is not for everyone. As a landlord, there are certain obligations you will have to your tenants, which could include dealing with issues and emergencies in the middle of the night. You will need to ask yourself whether you have the time to manage the property or if you will need to hire a management agent. In cases where the rental property is located in another region or province, a rental agent can provide a valuable service that will save you in travel costs. For a percentage of the rental income, a reputable rental agent will assist with advertising the property to rent, screening potential tenants and undertaking full credit checks as well as drawing up the necessary lease agreements among other services. “Deciding to hold onto the property and rent it out or sell it, will depend on your circumstances and what will fit your needs and situation. Only you will be able to tell what option makes the most sense and will work for you,” Goslett concludes. South African Reserve Bank governor, Lesetja Kganyago, announced today that the Monetary Policy Committee has decided to keep the rates at their current levels - this coming off the Reserve Bank’s last decision in July to cut the rates by 25 basis points. Currently, the repo rate is at 6.75%, with the prime lending rate at 10.25%. 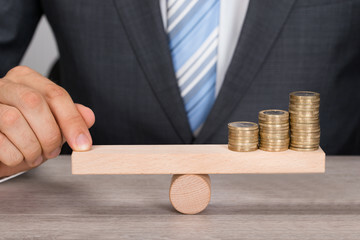 Some economists are predicting that we are likely to see further rate cuts shortly, given the fact that inflation is expected to remain below 5% for the remainder of the year, and economic growth has been very poor. Inflation is bordering on two-year lows, while GDP growth has reached levels not seen for the last eight years. These factors are bound to result in the Reserve Bank easing its monetary policy. “With waning consumer confidence, property transactions will remain constrained even with the expected seasonal upturn in the warmer seasons. Until there is improved economic growth and higher numbers of consumers with the required affordability ratios necessary to purchase property, the property market will remain restrained,” says Goslett. Broker/Owner of RE/MAX Living in Cape Town’s City Bowl and Atlantic, Gerlinde Moser, is the definition of success. With a passion for people and real estate, she has worked her way up to become Cape Town’s leading property personality for investment in the City’s premier residential areas. 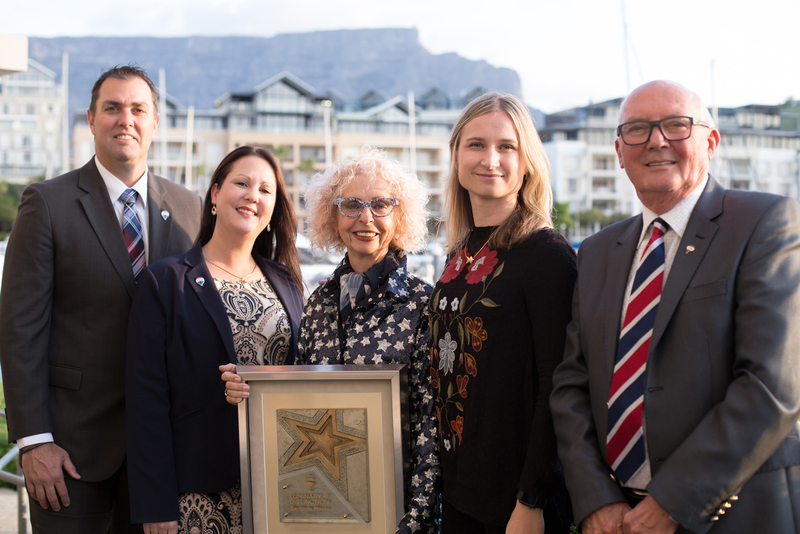 She is also the first real estate professional within Southern Africa to be awarded the Luminary of Distinction, the highest distinction of three career awards given by RE/MAX International. In fact, she is only one of two people outside of North America and Canada to receive the award. The career requirements of the award include a minimum of 20 years’ service with RE/MAX. Associates who receive the award must also have already received both a Hall of Fame and Lifetime Achievement awards. Currently, only 55 people in the world have received the award, a mere 0.05% of the over 100 000 strong RE/MAX network around the globe. While she had been a successful real estate business owner in her own right, Gerlinde encountered the RE/MAX brand in the US on her travels around the world. Coming from a more traditional real estate setup, she liked the different type of business model the brand offered real estate professionals – one of the first of its kind in the industry. When the brand finally made it to South African shores in 1995, Gerlinde became one of the first to join as a Founding Broker/Owner. Outside of her real estate endeavours, Gerlinde promotes the importance of the community building philosophy. She does this by supporting local schools, nursing homes, heritage societies, neighbourhood security programs, the Reach for a Dream Foundation, the Cape Philharmonic Orchestra, the Cape Town Opera, Public Parks, Animal Rescue, Wild Life programs, recycling and energy saving programs. “Finding ways to enhance the community is beneficial to everyone. After all, we not only work here, we live here too,” Gerlinde concludes. According to Adrian Goslett, Regional Director and CEO of RE/MAX, homeowners who wish to obtain the highest possible price for their property, within the shortest time frame, will need to ensure that their home makes a good first impression and stands out from the crowd. “Homeowners will be required to do their part if they want to maximise their chances of obtaining the selling price that they want. Perhaps the most common mistake among sellers is over-pricing their property to provide themselves with some room for negotiation. However, instead of working in their favour, often it negatively impacts their chances of attracting buyers to their home,” says Goslett, who points out that sellers need to view their home objectively when setting an asking price. “Very often sellers are driven by their emotions when they decide what price they want for their home, possibly overlooking certain faults or current market values. Sellers need to try to put themselves in the shoes of potential buyers. Homes that are considered to be overpriced continue to sit on the market for months - even years. However, newly listed, realistically priced property is moving and moving quickly. Buyers are more educated about the market these days and know what qualifies as fair market value. According to market research one in every four first-time buyers in today’s market shop around, do lots of market research, ask questions and are knowledgeable,” says Goslett. When determining a home’s fair market value, a reputable estate agent with specific area knowledge can be a valuable tool. “Real estate professional can provide an impartial view of the home, setting emotion aside and relying on statistics and facts. An agent who has been working in a particular area for some time will understand which features are popular among buyers in that area. They will also have access to data regarding recent sales in the area to complete a comparative market analysis. This will provide an accurate pricing structure on which to base the asking price,” explains Goslett. He adds that apart from correctly pricing the home, its aesthetic appeal is the next most crucial element for attracting buyers. “It only takes a few seconds for a buyer to decide whether they like a property, so first impressions are vital. A poorly-maintained home will appeal to far fewer buyers than one that is in good repair and looks good. Before placing the home on the market, all defects and general maintenance should be taken care of to ensure that it is in pristine condition. As the terms suggest, curb-appeal starts from outside the property, so the home should be maintained from there all the way through. Cut the grass, weed the flower beds and ensure the swimming–pool is crystal clear,” says Goslett. • Get rid of clutter as it will distract buyers from the home’s features and make the spaces appear smaller. In conclusion, Goslett says that a well-maintained home that is perceived priced fairly will appeal to a wide variety of buyers and will have more chance of selling within a reasonable time frame. A good first impression is an initial step to securing a property sale. RE/MAX of Southern Africa currently ranks as the number one real estate brand in the country based on number of listings. According to property search portal data, as at September this year, RE/MAX had over 45 000 listings on its books – nearly 15 000 more than its closest competitor. While the brand is also ranked as selling the highest overall value of property in areas such as Cape Town’s City Bowl, it does not focus on any specific niche market. “We have offices such as RE/MAX Living who have consistently sold high-end properties and are leading their market in this category. However, we have never pigeon holed ourselves into any particular sector of the market,” says Goslett. “Rather than focusing on certain types of homes, we aim to provide a comprehensive service to homeowners in all pricing brackets. With over 160 offices in Southern Africa, we have the privilege of assisting sellers and buyers in every sector of the market,” he concludes. Irrespective of whether the property in question is a one-bedroom studio flat, a cottage at the back of the garden or an entire estate, the same laws and procedures apply and need to be understood clearly in order to make a success of the rental market. 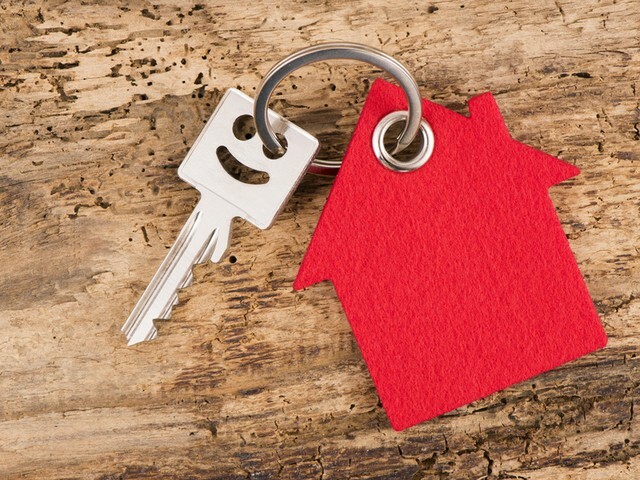 This is according to Adrian Goslett, Regional Director and CEO of RE/MAX of Southern Africa, who says that owning and letting out a rental property can often be an involved process. From security deposits and credit checks to a range of various insurance policies to consider, Goslett explains the importance of each and how these more complex aspects of the rental industry are crucial for both landlords and tenants to understand. It is general practice in today’s rental market for landlords to request a deposit from their tenants before they move into a property. Understanding what these security deposits are actually meant for and the laws that preside over them is vital for both landlords and tenants. According to The Rental Housing Act (RHA), which govern residential tenant-landlord relationships, the security deposit is held by the landlord (or agent) until termination of the rental agreement and final inspections of the property are made. Goslett says when a tenant pays the deposit, the landlord is required by the Rental Housing Act to place the money in an interest-bearing account, held with a financial institution. Under the Act, final inspections have to be made jointly by the landlord (or agent) and the tenant, both at the commencement of the lease agreement - before the tenant takes occupation - as well as at the end, at least three days before the lease is due to expire. “Even though the deposit is paid to the landlord, it remains the tenant’s money. The landlord is merely holding the money as a security measure, should the tenant default or breach the rental agreement. If the tenancy runs its normal course, the deposit along with all interest earned must be paid over to the tenant at the end of the lease agreement period,” says Goslett. 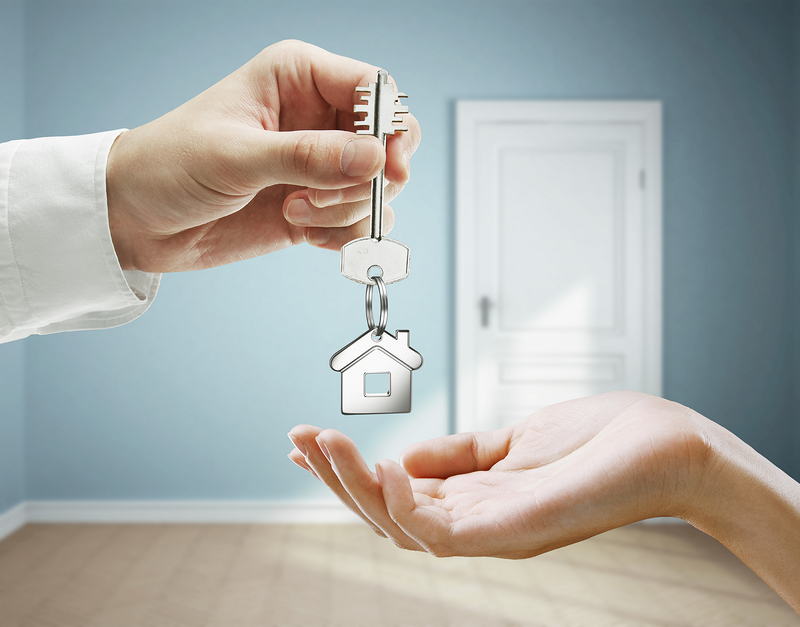 Tenant selection will have a massive impact on the financial success of the property rental. For this reason, each tenant should be carefully vetted before they rent out the property. The landlord should enquire about details of the tenant’s previous rental history, reasons they are moving, their place of employment and income. Landlords should contact the given references in order to verify as much of the information as possible. “The tenant selection process is where the services of a rental agent will come in handy, as they will be able to professionally vet all possible tenants. While it is not legal to discriminate against any tenant, it is also not wise to simply accept tenants on a first-come-first-serve basis,” advises Goslett. 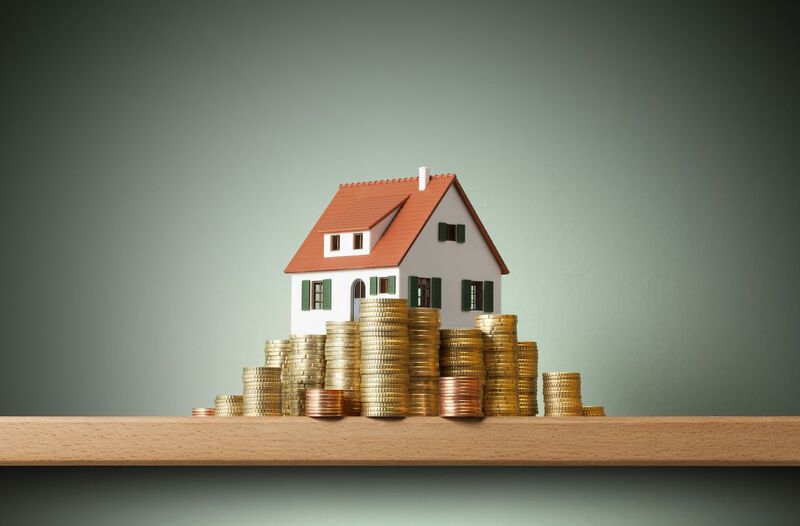 Property is one of the largest and most costly investments available and although undoubtedly a sound investment, there are circumstances that can cost the owner dearly. Therefore, taking out various insurance policies is a must, as the reality is that unfortunate events happen and you need to be prepared for them - especially in the case where you are the landlord.
? Building insurance - covers the physical structure of your home and its associated outbuildings. This insurance typically protects you from any damage that may occur to the property as a result of natural disasters such as flooding, fires, thunderstorms (hail and/or lightning damage), or perhaps a tree has fallen and damaged the property. Some insurers include a burst geyser as part of building insurance but, as always, make sure you read the fine print and know exactly what your policy covers.
? Indemnity insurance - aimed at providing protection against financial loss resulting from a legal liability to a third party. In other words, this kind of insurance will protect you from any damages or deaths that might accrue to a tenant or a visitor of your tenants. For example, what if there was a fire? Your building insurance would cover any damage to the property but what would happen if your tenant was injured during the fire? Who would protect you from your tenant?
? Non-payment of rent - this safeguards you against defaulting tenants and decreases your risk by ensuring that you always receive an income from your property.
? Damages to the property by the tenants - again, this decreases the risk factor by removing the element of chance and making sure you, as the landlord, are covered and protected. Annual increases in the insurance premium can also be recovered from the tenant (once the fixed period has passed) in South Africa. The landlord, however, is not allowed to charge the tenant for the initial insurance, only the increase, especially if caused by the tenants themselves. Just make certain that your insurance company is made aware of any changes - the more they know the better. To avoid complications or misunderstandings it is best for all stipulations to be clearly stated up front in a detailed contract. According to Goslett, if all the important elements are included in the document there will be no areas that are left open for interpretation. He concludes by saying that while owning a rental property and becoming a landlord can be hard work, it is also an opportunity for the landlord to create wealth over the long term. Goslett notes that the key element to success is to always view property investment with the future in mind. What most people may not realise is that for every hour that a real estate agent spends with a seller, they will spend approximately nine hours working behind the scenes on the homeowner’s behalf to get the property sold. This is according to Adrian Goslett, Regional Director and CEO of RE/MAX of Southern Africa, who says that the reason for this is simple, if an agent doesn’t sell the home – they don’t get paid. So what are the things that real estate agents do behind the scenes? It is vital that the property is exposed to the right target market of potential buyers. To get exposure, agents will advertise their listings on property search portals, as well as in magazines, newspapers, flyers, and brochures. Part of the process of setting up the adverts is having photos taken of the home and having the layout designed professionally. Other marketing tactics include using the services of a public relations officer to engage with targeted media, posting listings on social media and holding show days. Agents are professional negotiators. A lot of their time is spent talking to their network and ensuring that buyers are matched with the right homes. The agent needs to have an in-depth knowledge of the homes that they are currently marketing, along with what each of the buyers in their network wants. “When a buyer has found a home that meets their criteria, the agent will guide the buyer through the process of making an offer. They will also facilitate any counter offers from the seller – a vital aspect of the property sale, as the agent can net the seller thousands during this stage of negotiations,” says Goslett. Knowledge of the property market and specific area information is a vital arrow in an agent’s quiver. A substantial amount of an agent’s time is dedicated to researching property sales prices and data to ensure that they know their area well and have a good handle on the market. “Correctly pricing a home is a valuable skill. To do so, an agent needs an understanding of the economic environment and their target market, which takes time and research. To accurately pinpoint the right price to list a home, an agent will need to complete a comparative market analysis (CMA). Factors taken into consideration during a CMA would include the average price per square metre in the area, recent sale prices of similar homes and comparative prices of other properties that are still on the market. This information will help establish a reasonable price bracket for the property,” Goslett explains. While the seller might not be present during a home inspection, a good agent will be. Being there during the inspection will give the agent valuable information regarding the home and will assist with accurately setting an asking price. The fact is that not every property transaction will go according to plan. However, agents will try to shield clients from any unnecessary drama - unless there is a need to inform them. An agent will work tirelessly to ensure that the property sales process is as hassle-free as possible for all parties involved. Selling a home can be stressful, and emotions often run high. A good agent will need to be a problem-solver, keep a positive approach and come up with a constructive solution to any issue. Networking is an intricate part of being an agent. Most agents will have a network of other real estate professionals that they will use to find a suitable buyer for a home. Agents often spend time helping each other to match the right buyer with the right home. Often agents will refer buyers to other agents if they know that agent has the house that checks every box on their wish list. “A good agent will add value to the property transaction and earn their keep,” Goslett concludes. Whether you are a buyer or a seller, it is vital that you are familiar with the terms and conditions stipulated in the property sales agreement, says Adrian Goslett, Regional Director and CEO of RE/MAX of Southern Africa. The clause pertaining to occupational rent is crucial because it shields both the buyer and seller. 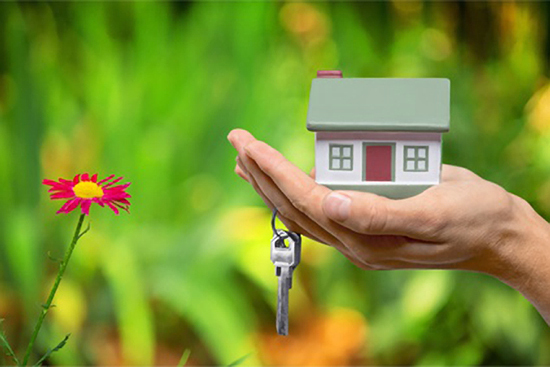 It ensures that the seller is financially compensated if the buyer moves into the home before transfer. Conversely, it provides the buyer with financial compensation if the seller is still living in the property after the transfer has occurred. “The occupational rent provision is often glanced over because most buyers only intend to move into the property once it has been registered in their name. However, things don’t always work out according to plan and buyers may find themselves in a situation where they are required to move into the property sooner than they initially expected. 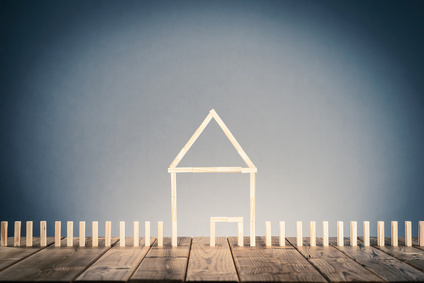 If a buyer has given notice at their current residence, and transfer on their new home is delayed for whatever reason, they could find themselves in occupational of the property before it is in their name. It is this exact situation that makes the occupational rent clause so important,” Goslett explains. On the flip side, it is not only the buyer that runs the risk of having to pay occupational rent. The majority of homeowners sell their property to purchase another one. They too may have to wait for the transfer to go through on their new home while living in their current residence. If they are still living in their current residence when it is transferred into the new owner’s name – they will be liable to pay occupational rent. “While not ideal, it is in these situations that knowing and understanding the terms of the occupational rent clause that will allow the everyone involved to know what is expected and not be caught unaware,” adds Goslett. Should either circumstance come to light, it is essential that the occupational clause stipulates the amount of occupational rent to be paid. Even if the date of occupation is listed as the date of transfer, the rental amount still needs to appear in the agreement in writing to avoid conflict or any misunderstandings. The seller will ultimately decide what amount the occupational rent will be, however, both parties must be in agreement before signing the document. The rental amount should be market-related and should ideally be enough to cover the bond repayment. “Having an understanding of the sales agreement and its conditions will help sellers and buyers to avoid any unnecessary conflict, and will make the entire process of buying or selling a home far less daunting,” Goslett concludes. Each year as the temperatures start to rise there is normally an uptick in the number of people looking to get into the property market, says Adrian Goslett, Regional Director and CEO of RE/MAX of Southern Africa. “During the warmer months, more buyers will venture out to look for their ideal home, making it the perfect time for homeowners to list their property. The increase in the volumes of buyers and foot traffic during the warmer seasons can be used to the seller’s advantage,” he adds. You only get one chance to make a first impression – so make it count in the right way. If buyers had to choose between two properties that are located in the same area and offer similar features with the same price bracket, the only determining factors would be the look and buyer’s overall first impression of the property. After you have identified the areas that require improvement, it is time to put your head down and work, cleaning and making the necessary changes to the home. Apart from washing the scrubbing the home, spring cleaning also entails decluttering and getting rid of unused items. “As the saying goes - God is in the details. Paying attention to all aspects of the home, regardless of how insignificant they seem, will reap greater rewards. While you may not notice the minor defects in and around your home, buyers will specifically be looking for things that are wrong with it. Bear in mind that the home is competing with others in the area, so it is imperative that every effort is made to ensure that it is in its best condition, especially considering that there might be newer homes on the market,” says Goslett. Buyers should feel welcome and have the space to be able to view the property at their leisure, visualising living in the home. “One way to make buyers feel more at ease is by packing away personal items and photos. Doing this will help buyers to see themselves in the home. It is also best to decorate or paint the home in neutral, muted colours with only a few well-placed items to add interest and warmth. Home-decor magazines and websites are great resources for tips,” says Goslett. Prospective buyers can be driven away by unpleasant odours. So, it is imperative that every effort is made to ensure the home smells inviting. Traces of food, pets or smoking and other disagreeable odours can kill deals fast. 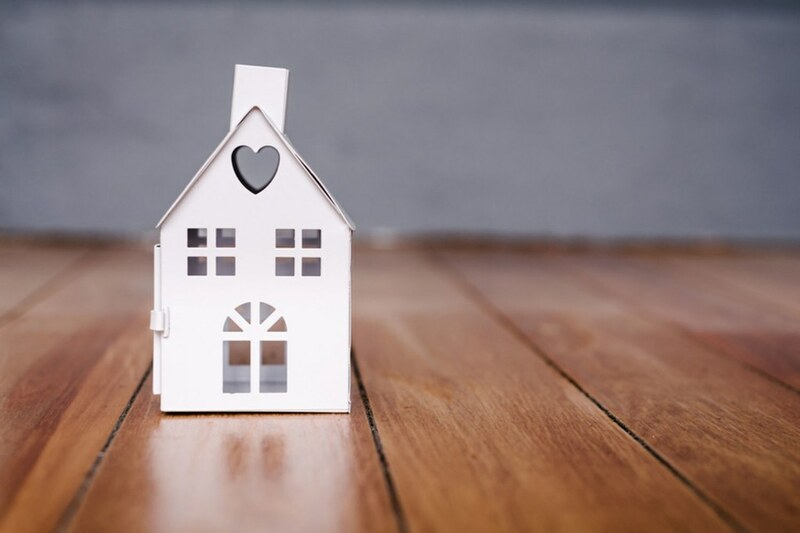 Purchasing a new home is an exciting venture, however moving and adapting to a new environment can be stressful – particularly for children, says father of two, Adrian Goslett, Regional Director and CEO of RE/MAX of Southern Africa. Older children can use the internet to research the area and surrounding attractions to get them excited about the move. For younger children, visit the local library and what books they have about packing, moving and getting used to a new house. With the burning issue of global warming and the impact of our carbon footprint an ever-growing concern, more and more homebuyers are looking for properties that offer green elements, says Adrian Goslett, Regional Director and CEO of RE/MAX of Southern Africa. “In countries such as the US, the trend of buying green has been around for some time, but over the last decade the trend has gained momentum in South Africa and continues to grow. Apart from the fact that more people and becoming aware of their impact on the environment, the increasing cost of utilities has also prompted many people to seek out methods of reducing their energy consumption,” says Goslett. Using the Green Star South Africa rating system, which is based on an Austrailian system that has been customised for the country, the Green Building Council SA uses standard benchmarks to assess how green a building is objectively. Unlike the Amercian market, there is no official green certification for residential homes in South Africa, but the Green Building Council SA can provide homeowners with a rating that can be used by sellers to market their home to energy conscious buyers. Goslett says that if the home has not been given a rating, there are other things that buyers can look for if they want to purchase a green home. “Firstly, find the right real estate professional who is knowledgeable about green home features and specifications. Regardless of the type of home you would like to buy, finding the right agent is always an important step to finding the right home,” says Goslett. Going green is about minimising resource consumption, so specific features to look for would be those that help to reduce energy usage and save water. Goslett says that by this, consumers are not only helping the environment but are saving costs on a monthly basis, which makes it a win-win situation. A major source of water consumption is the garden, in fact, according to the South African National Biodiversity Institute, 35% of domestic water is used to water gardens. “Looking at the type of landscaping and plants in the garden will give you an indication as to how water wise the garden is. Indigenous, low-maintenance plants that require little water and are disease resistant will be the better option. Ideally, plants with similar watering needs should be grouped. Paved areas, indigenous ground covers, gravel and hardscaping features will also all reduce the water required to keep the garden looking good,” says Goslett. He adds that another aspect to look out for is photovoltaic solar panelling. It should be easy to spot solar panels as they are normally installed on the roof of the house. The panels collect sun light and convert it into DC electricity through semiconductors. The DC electricity is then channelled through a solar regulator to a battery or bank of batteries. Household appliances that use DC electricity can run directly from the battery, while a power converter can be used for AC appliances. Solar panelling can reduce standard electricity usage or replace it entirely. Goslett adds that heating water is another energy hungry household activity. “According to studies, as much as 40% of the energy used in homes is for heating water. Electric geysers are the most energy sapping appliances in most households. Inquire about the type of water heating system used in the home. It is possible for electric geysers to be converted to solar geysers. An alternative solution to saving energy is by installing an automated digital thermostat on the geyser which the homeowner can control,” says Goslett. 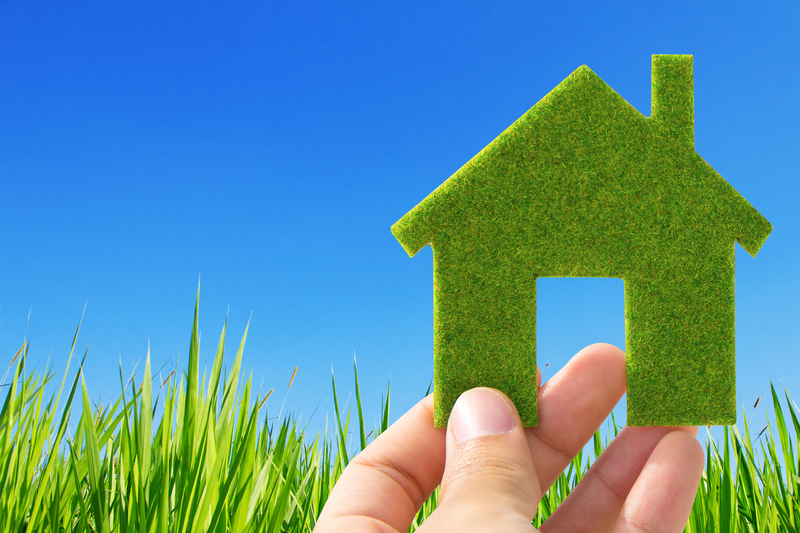 Insulation is another aspect that green conscious buyers should consider. Proper insulation will make it easier to keep the home cool in summer and warm in winter. “Pay attention to the quality of the windows in the home. Good quality windows will close and seal properly, which will keep the heat or air-conditioning where it needs to be. Double pane windows with glazed glass will also keep heat loss to a minimum during winter and the home cooler during summer,” says Goslett. • Gas cooker and stove instead of the traditional electric stove. • Water saving low-flow showerheads and aerator taps which will reduce water consumption considerably. • Ensure the toilets are new and in good working order. Reports reveal that 62% of domestic water is flushed away making toilets with a dual flush system the better option for saving water. • Ensure air-conditioning units are in good working order or new as older units use more energy. Alternatively, ceiling fans and gas heaters are better energy-saving options. • Look for LED Energy Saving Lights - these lights largely reduce Carbon Dioxide emissions. “Globally going green is seen as a smart option for home buyers. Not only is it a way of countering the rising costing of living, but also a means of reducing our effect on the environment and building a sustainable future,” Goslett concludes. He adds that there are a few elements that will weigh in on the decision, such as the financial options available, the local market environment and lastly, your feeling about moving more than once if you require temporary accommodation while searching for a home. Very few people have the financial capacity to purchase a home with cash, which means that they will need to take a loan from the bank. What this means is that most buyers will require the equity they have built up in their current property to help them purchase another home. This scenario leaves buyers with little choice but to sell first and then buy. There is the option of selling the property and then negotiating with the new owners to rent the property back until you find a new place. However, the success of this option will depend on how eager the new owner is to move into their new home, and you will be required to pay occupational rent. Not ideal, but another option is to move into temporary accommodation with family members or friends or a short-term rental. In this instance, storage facilities may also become a necessity. While having the equity readily available is an advantage, a temporary living arrangement could push you into making a faster decision than you should. Purchasing a property should never be a rushed decision. It should be given the time and deliberation it deserves. If you would like an advance on your home equity, there is the option of having the money bridged before the sales transaction is concluded. The bridging finance amount will be based on the equity available on the property, your credit record and the expected cash inflow. “Perhaps the optimum decision would be to stay in your current home while looking for another property. You can make an offer to purchase on your next home subject to the sale of your current home. It is common practice, and it will give you time to do your research and find the perfect home that fits all your criteria before making a move,” says Goslett. If you are in the rare position of not needing the equity from your current home, you still run the risk of being stuck with two properties. While this could be fine as a short-term solution, it may not work on a long-term basis. In this instance, you will need to have a contingency plan in place. Although there are general overarching factors that will impact the property as a whole, most micro markets will be affected by unique circumstances that only pertain to that area. Aspects such as the type of home, price range and availability of other similar homes in the area will all have an impact of the sale of the property. A real estate professional will be a valuable source of information when it comes to researching the specific factors that influence the property market in a particular area. The agent will be able to provide you with insight into how long homes take to sell on average, and how much they are selling for. Finding this information out will help to gauge time frames and possible equity expected from the sale. “On the other side of the scale, from a buying perspective, research what properties are available in the areas you want to buy in, looking at all aspects of the neighbourhood and elements that may influence your decision,” advises Goslett. 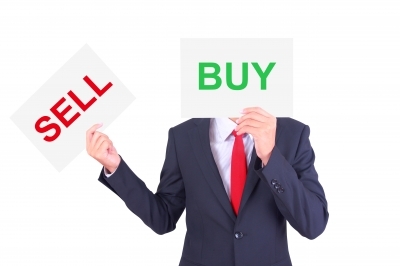 Whether you sell or buy first, each option has an element of risk involved. So ask yourself, is it better to sell first and possibly not have accommodation to go to, or buy first and have two bonds to pay until the one home is sold. “There will be emotional aspects that will pull you in both directions, however, ultimately the answers should be based on the financial options available and the local market conditions. Regardless of the decision, you will need to be prepared and have a plan in place to deal with the consequences of each scenario,” Goslett concludes. 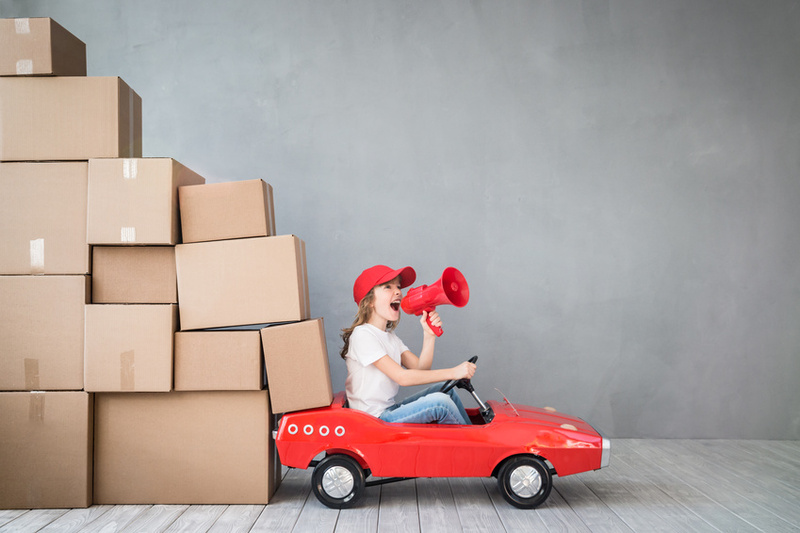 While packing is a major element when it comes to moving, there is much more that needs to be taken into account when changing your address. According to Adrian Goslett, Regional Director and CEO of RE/MAX of Southern Africa, there will be a few legal matters that will be to be attended to during the moving process. “Every move is different, and circumstances will vary from one person to the next, so the unique aspects surrounding each move will change along with the legal considerations. For example, if you are moving but are still bound by a lease agreement, you will need to read through the contract to see what options you have. Perhaps it is possible to be released from the agreement early or find another tenant that could take over the property until the terms of the lease expire - this will require some research and a discussion with the landlord,” says Goslett. 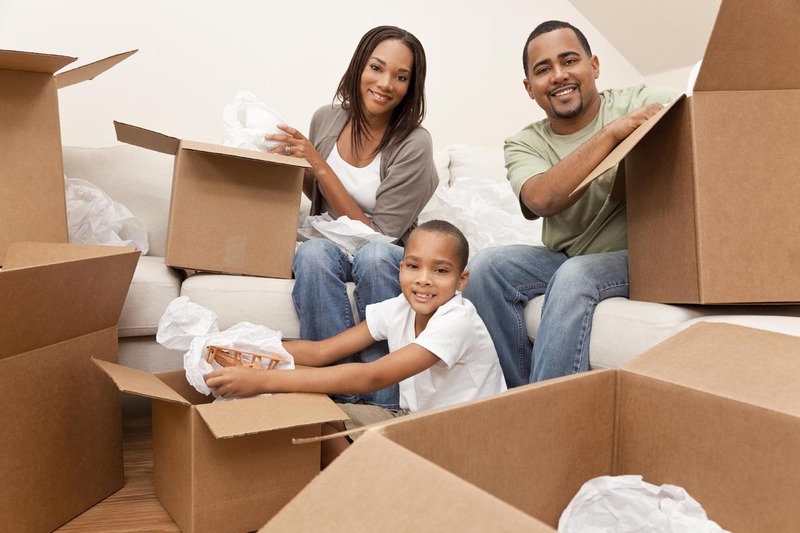 If you have decided to make use of a moving company, check what is covered by insurance. It is not ideal to only find out what is covered after your goods are loaded on the van. Read through all documentation provided by the moving company to see what falls under the insurance coverage during the move and what isn’t. While the moving company will provide some insurance, depending on the contract, it might be worthwhile to take out additional coverage. Let all creditors and your bank know that you have moved so that you don’t miss any payments or important notices that could affect your credit record. As a precaution, also ask the post office to forward all post to your new address. Also give your new details to any publications you have subscriptions with, as well as family and friends. Utilities or services will need to be transferred to the new address or discontinued if no longer applicable. These would include items such as water and electricity services, newspaper delivery, a telephone landline, DSTV subscription or a private security company. There might be a deposit to be refunded from certain service providers. Also, advise service providers where final bills can be sent. Obtaining copies of records and vital documentation is of particular importance if you are moving to another city or province. Important documents would include medical records from the family doctor, along with any chronic prescriptions that need to refilled or transferred to another pharmacy. Families should get their children’s school records such as copies of report cards and a transfer card. Other records would include birth documents for all family members and any legal records. In closing, Goslett says that although relocating can be a stressful and tedious endeavour, having a checklist and systematically dealing with all the necessary aspects involved, will make it a far more manageable experience. Yesterday RE/MAX Co-CEOs, Dave Liniger and Adam Contos, revealed a refreshed RE/MAX brand, including the world-famous balloon logo and wordmark, to hundreds of franchise owners at the annual RE/MAX Broker Owner Conference in San Francisco. 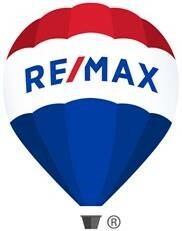 The iconic red, white and blue hot air balloon has been updated to be brighter, more modern and more appealing to the home buyers and sellers of today – while being instantly recognisable as RE/MAX. According to Pete Crowe, RE/MAX Senior Vice President of Communications and Marketing, the responses of more than 20 000 consumers factored into the decision to embark on a brand refresh which is the first in the 44-year history of the real estate franchisor. In the coming months, consumers will begin to see the new logo on sign boards, office fronts and advertising. Also, the network of 115,000 agents in more than 100 countries and territories will celebrate the refreshed look with local events on a global day of celebration on September 20, including at RE/MAX headquarters in Denver. The crisp, contemporary twist on the iconic brand will also be seen on remax.com. Any accounts or bills that have been handed over for collection should be paid and sorted out before applying for finance. Defaults or slow payment notifications will have a negative impact on a credit score, so it is important to make payments timeously. 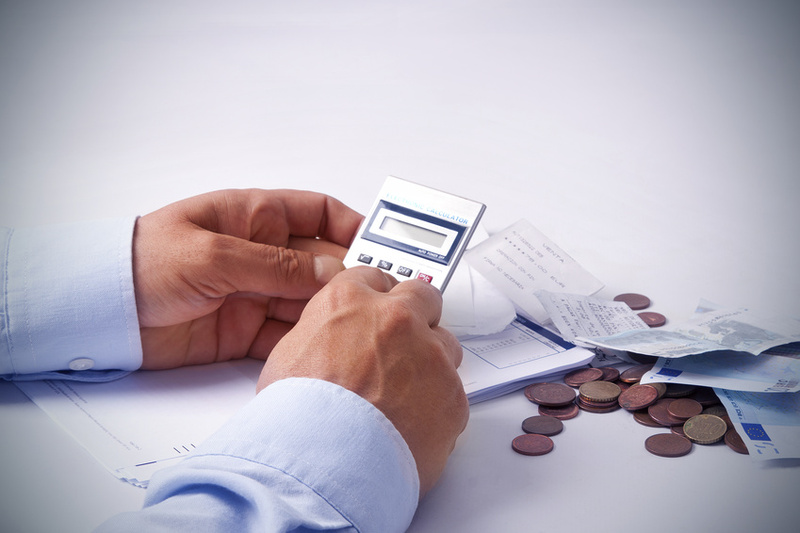 The bond amount that a consumer qualifies for will be determined by their income. So it is important to include any bonuses or annual investment returns when making this calculation. Goslett says that annual tax return documentation will assist the applicant in determining their actual yearly income. Financial worth is more than just your income. It also relates to any assets owned, such as vehicles, investments and income-generating properties. Goslett says that all of these aspects add to the applicant’s nett worth and will have a bearing on the amount that the bank is willing to grant. More often than not the bank will require a deposit. The deposit can vary between 10% and 30% of the purchase price of property depending on the circumstances. Aside from the deposit, applicants will also need additional money for the costs associated with buying a home such as transfer fees, attorney fees and bond costs. In an ideal situation, the monthly house payment, which includes the bond, interest, taxes and insurance should not take up more than around 30% of your income before taxes. It is possible to get an idea of your affordability levels from an online bond calculator or with the help of a financial professional. A bond originator such as Betterbond can also provide valuable guidance as to how much you can comfortably afford. “A key element of homeowner readiness is financial preparation. Being prepared and having a clear understanding of your financial situation will make the bond application process far smoother,” Goslett concludes. You find a home that seems to have everything you have been looking for, from the right number of bedrooms to the type of kitchen countertops, but how do you know that it is really the one?